Since the establishment in 2015, SRCIC has 129 organizational members from 77 countries, including state-level and regional chambers of commerce and millions of affiliated enterprises, covering Asia, Europe, Africa, Latin America, and Oceania. In response to the upcoming Belt and Road Forum for International Cooperation, SRCIC official website will launch the Monthly Star column presenting one of its members monthly for sharing the basic information, resources advantage and cooperative projects. At the invitation of Prime Minister Andrej Plenković of Croatia, from April 8 to 12, Chinese Premier Li Keqiang of the State Council will travel to Brussels, Belgium for the 21st China-EU Leaders' Meeting and to Croatia for an official visit and the 8th China-CEEC Summit. SRCIC member-Chinese Southeast European Business Association (CSEBA) will participate in the relevant activities and businesses. Therefore, CSEBA is recommended as the April Star. 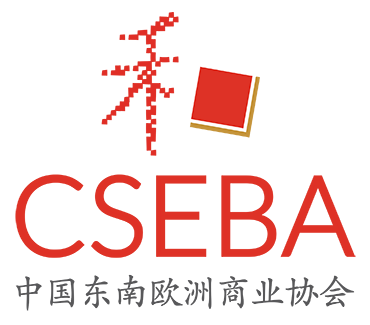 CSEBA was established in 2013 with a full support of the Government of the People's Republic of China. Headquarters of CSEBA are located in Zagreb, capital city of Croatia, where all relevant information is collected and evaluated by professional managers. CSEBA started with a mission to provide the basis for economic and financial cooperation between PR China and the countries of South-Eastern Europe, including: Croatia, Bosnia and Herzegovina, Serbia, Slovenia, Montenegro, FYR of Macedonia, Romania, Bulgaria and Albania. CSEBA is cooperating with independent consultants, professionals in various sectors, government institutions and law firms in all the countries mentioned, ultimately forming a consulting mechanism working on the principle of client's requirement that is able to provide operative support (information, legal support, logistics, business strategy) at the local level in each country. For more information, please view the detailed introduction of CSEBA.